View More In USB Flash Drives - Page 2. Featuring the capless design with a retractable USB connector, the B21 can not only prevent the cap loss problem but also allow you to operate the drive more easily with a simple thumb push. The B21 is characterized with a built-in lanyard hole that lets you easily attach the drive to your bags or key rings, making it more convenient for daily carrying and storage. With multiple capacity choices up to 256GB, the B21 offers more storage for you to save all your important files and favorite media contents. Take 128GB as an example, it allows you to keep up to 1,700 minutes videos, 33,200 songs and 48,000 photos! The SuperSpeed USB3.0 (USB 3.1 Gen1) interface is able to deliver high transfer rate of 5 Gbps, which is 10 times faster than USB 2.0. The B21 is backed by lifetime warranty. 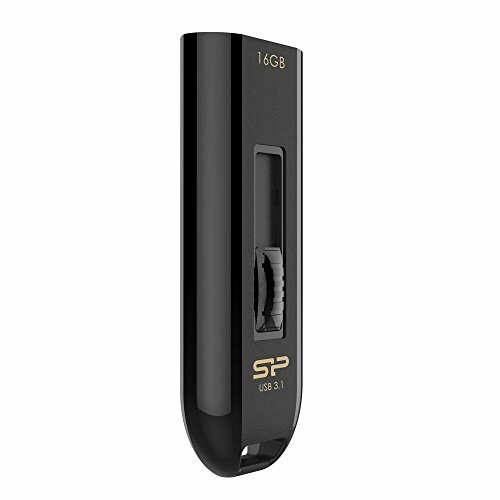 *Please register your product via SP official website to get complete manufacturer warranty services, product support and more. Cap-less design with retractable USB connector that can prevent cap loss problem. Lanyard hole to enable easier storage and carrying. Work with PCs and Macs, letting you to share files between different platforms. Backed by lifetime warranty that guarantees complete services and technical support.